First of all, I´d like to say that I am an Asia fan. 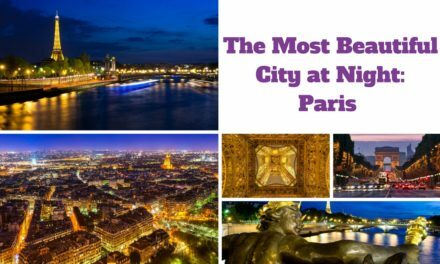 Actually, I like every place I have been to and never really disliked a destination. However, Bali is a bit different. 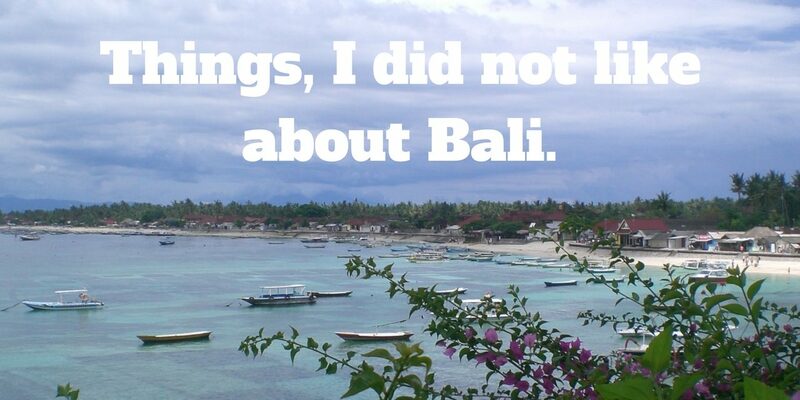 My first impressions of Bali, where I went a few years ago, weren’t all good. Though, I liked Bali I actually believe it is a bit overrated. To read more about things I liked Bali click on “9 Reasons to Visit Bali“. #1 The first thing I noticed when leaving the airport was Bali´s very particular “smell”. I haven´t really figured out where the “smell“ comes from or what it is, but I couldn’t get used to it at all. Whenever I hear about Bali, the “smell” crosses my mind. Some people were surprised to hear me saying that I did not like it, as some love this Bali “smell” in particular. #2 When I was leaving the airport and sat in the taxi, on my way to the hotel, I saw rubbish – a lot of rubbish and not only in the ditches of the streets. I am a city girl, so I am used to dirty cities but it is different if a city is dirty or a beach destination. 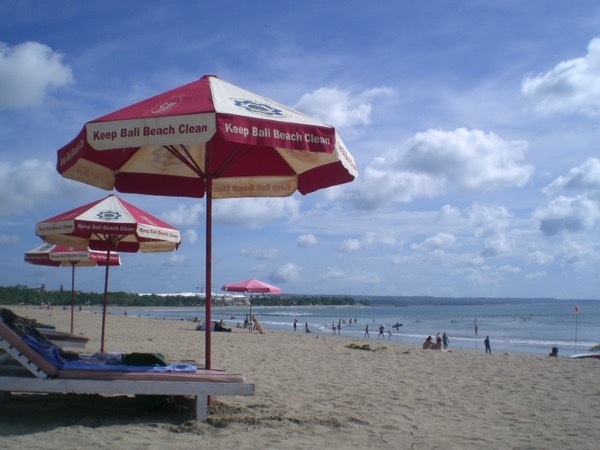 Bali is presented as a dream destination, a perfect place to spend the honeymoon, so this makes it even more difficult to understand why the Balinese (and tourists) don´t care more about a “clean Bali“ (though it says differently on the umbrella – see picture below). #3 I know that sounds harsh: But the natives were really intrusive. I have never felt so intimidated by natives as I felt in Bali. I have visited places like Egypt and Turkey as a female traveler and I am a queen of small talk and enjoy talking to people. However, I felt very uncomfortable laying on the beach in Kuta and being constantly asked by (though lovely, older) masseurs when we would be ready to have a massage. They wouldn’t leave us alone. Actually, they decided to sit next to us and to talk loudly to each other and kept repeating the question about having a massage. Also, be very careful, when changing money at the exchange offices (double count your money and don’t believe when they say they don’t have enough change, so the gave you more instead). One day we went to an Internet cafe where some snacks and souvenirs were sold as well. I wanted to check my emails on a PC and the Internet worked for a few seconds but went down very quickly. I told the guy that the Internet didn’t really work and I shouldn’t have to pay for that. At the end, he made me pay for it. At that time I was already really annoyed by the cunning of Balinese, so it bothered me a lot. So, before we left the store I decided to pick 2 postcards. I looked at that guy and said (or yelled?) “Hey, I am taking these two postcards and I won´t pay for them“ The guy, not sure if he understood what I was saying, smiled and my sister and I kept running back to the hotel. However, on our way back we couldn’t stop laughing and I couldn’t believe I had actually done this. Though this has become one my most favorite Bali memories, it had annoyed me a lot. #4 The beaches are nice, but not the most beautiful ones I have seen. As mentioned before, some are partly dirty, crowded and not „special“ (exceptions are the rule). I felt kind of disappointed coming all the way from Europe, as I think we have nicer beaches here. #5 UPDATE: When I visited Bali a few years ago there was a fee for leaving the country which is ridiculous. It would be much better to have it in the airplane fees included. We were also “forced“ to buy a security look at the airport so that we could “secure” our luggage (or pay for our luggage to be wrapped up). 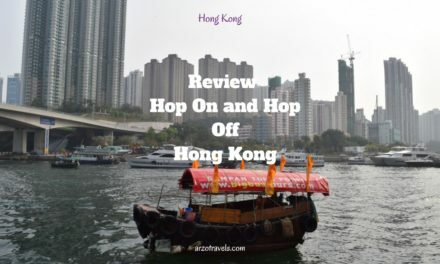 I didn’t believe that it is meant for a security reason and just saw it as another way to get the tourist´s money. A few years have passed since my trip, and though these reasons really bothered me, there are still many reasons to visit Bali. What did I like about Bali? Find out here 🙂 I would definitely visit Bali again if there was a good deal and I had more time, but most likely I would like to visit another great place in Asia. One of the reasons I loved Bali was because of the great accommodations – read this accommodation guide for Bali. 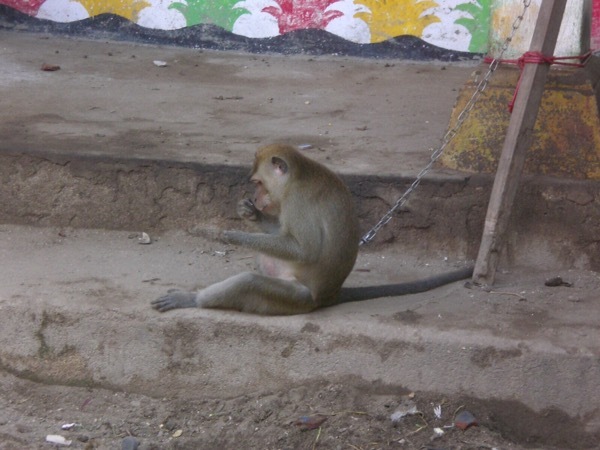 Cute monkey in chains 🙁 Dear tourists, please do not pay for pictures or support that kind of cruelty. Keep the beaches clean! Keep Bali clean! 5 reasons not to visit Bali – I´d like to visit Bali again and to give this Indonesian island a second chance and there were a lot of things I actually liked. Have you ever been to Bali? Let me know about your opinion on Bali? 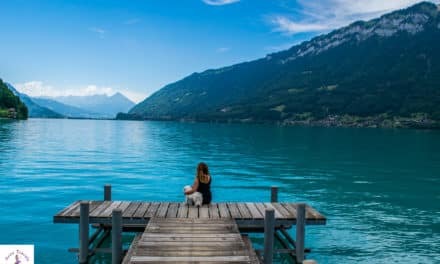 Read why I have fallen in love with Switzerland.